Handmade in Japan the Wood Stone ligatures allow for the ultimate in resonance. High quality materials and state-of-the art design set this quality ligature aside from the competition. The Alto Sax original version has a two screw design with two rails that rest evenly on the reed to help it resonate freely yet with control. Top US Saxophonist Bob Mintzer says: "The Wood Stone ligature is a simply designed ligature that affords the player optimum reed vibration and a full, warm sound. 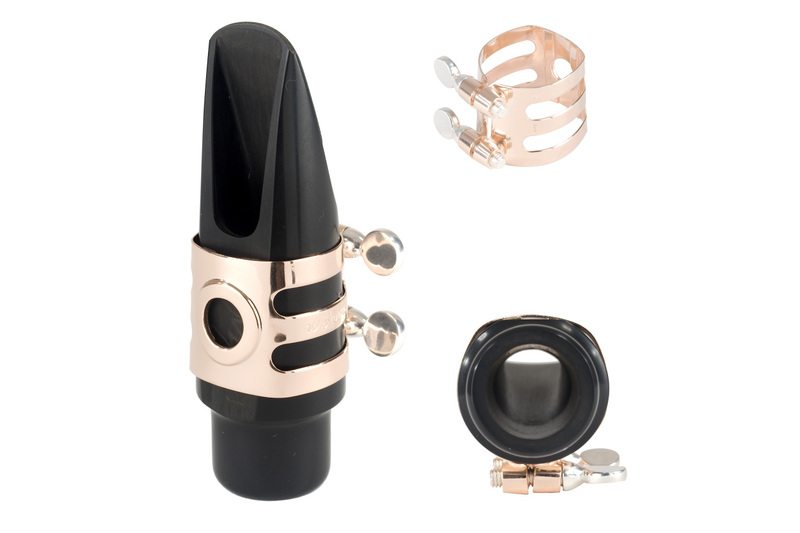 It holds the reed securely on the mouthpiece while not constricting the sound in the least."